Tunisian security forces in their efforts to reform and modernize their training system. activities in Instructional Design with a practical application on the Articulate Storyline 3 software. notions of Pedagogy including adult learning principles. other courses in the future. will define what the needs are, if any, for remedial training. Reporting on each engagement with the NP-GTD and NG-TD to USIP as well as the development of reports on the engagements to the NP-GTD and NG-TD leadership. The reporting is in the form of two documents to be developed by the trainer following an outline to be discussed with USIP. Contractor will re-engage with their previous trainees two months after the trainings to assess courses that they develop independently. The assessment will define the number of days, if any, required for follow up remedial training. May 13, 2019 – June 7, 2019 for training delivery. June 15, 2019 for after-action report delivery. *Keeping in mind that dates could be subject to modification. accordingly contribute to the modernization process of training and its management. to be presented to the training leadership. international best practices in online adult learning. Contractors are expected to adopt sound adult learning principles in their capacity building design. The contractor should develop a training description defining training module components and expected learning outcomes along with a training agenda within the aforementioned deadlines. The contractor should be aware that they will be holding separate trainings for partner and that each training lasts a minimum of 5 days and a maximum of 10 days which would require their presence in Tunisia for up to 29 days. It is the specialized contractors’ responsibility to design a course that can sufficiently build the capacity of partners to begin developing their own online learning content. By providing USIP with a clear schedule for the training the contractor and USIP can arrive at an agreement on the number of training days. It is the contractor’s responsibility to ensure that each course model developed as a result of the training is of sound quality and ready to be presented to the training leadership for approval, and institutionalized adoption. Contractor will return to meet with their previous trainees to assess work they developed independently following the training and to provide remedial training. The assessment will define the number of days, if any, required for follow up remedial training. Past experience working with government training agencies or security sector academies is an asset. Past experience in training on Articulate Storyline 3 is a must. Past experience in Education / Pedagogy is a must. Deadline to apply: Wednesday, April 17th, 2019. Eligibility: Individual consultants and companies. Candidate experts applying must include as part of their application samples from Arabic language courses they developed on Storyline 3. 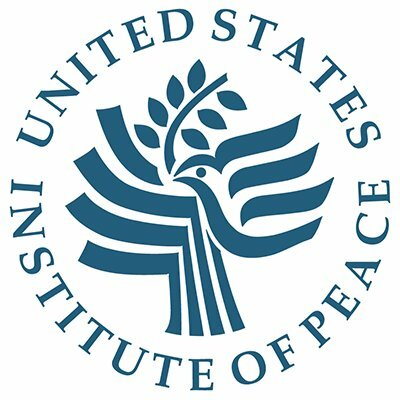 Any questions or applications concerning this Terms of Reference document should be directed to Ms. Ouiem Chettaoui at ochettaoui@usip.org and Ms. Rahma Limem at rlimem@usip.org.